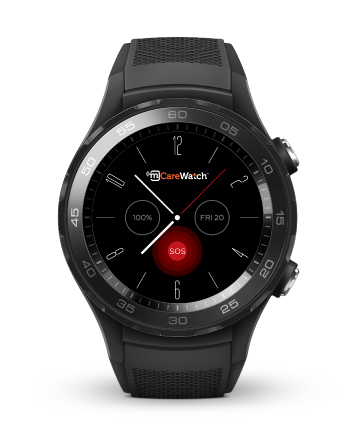 Australia’s first 4G SIM-enabled smart watch now available pre-connected to the mCareWatch software platform for unrivalled support with caring, safety and wellbeing. Myself or a Loved One. 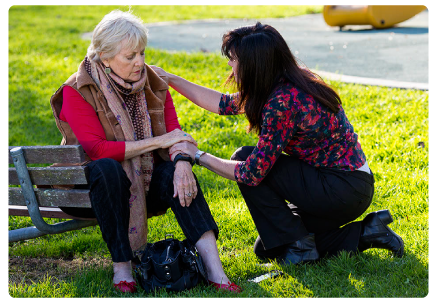 A Care Provider or Organisation. Dad quickly understood and slid his arthritic fingers across the watch face to reveal the picture of who he wanted to call. He then pressed their picture to make the call. Answering incoming calls was sometimes difficult but a software update a week later eliminated this concern as calls are now answered automatically. In terms of follow-up service I couldn’t be happier. I love this watch as my step mother and I can always reach dad to see how he is and we can see on the app on our phones where he is. It is so reassuring to know that when he’s on a bus trip and wonders off to look at something interesting he can call us and we can guide him back to safety. The SOS function works really well. Dad recently had a fall while on his own in his workshop. The watch worked brilliantly as he could call from the ground. Help was arranged and then we could hear and talk to him till help arrived. “After a couple of years now wandering the world, I have had to bring my dad home to oz, and he is now residing up in a secure dementia unit. So it is time to end this service please.Thank you Mcare for the service. It has helped us a lot. “I would like to take this opportunity to thank you both for your help and support during the three years we have used your product. The mCareWatch “saved” us a few times while I was at work and as such it is an invaluable tool to support people at risk.